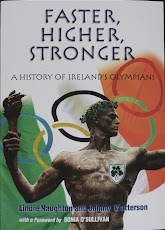 Irish Olympians - Faster, Higher, Stronger: Cragg first off on Irish Athletes on Friday. Full schedule. Cragg first off on Irish Athletes on Friday. Full schedule. At last the athletics programme begins in Beijing on Friday and first into the fray for Ireland will be Alistair Cragg in the men's 1500m heats (12.10 our time) and then Roisin McGettigan and Fionnuala Britton (13.25). On Saturday morning (02.00 our time, Robert Heffernan goes in the 20k walk, and if he can stay on the right side of the men with the lollipops, could end up in the top six. Later (05.10), Joanne Cuddidy competes in the 400m heats, and hopefully her injury problems are behind her. Sunday is a busy day, with Pauline Curley off first in the women's marathon 7.30am Beijing time, 12.30am here. 13.05: men's 200m quarter-finals, Paul Hession? 15.20: men's 200m final, Paul Hession? 12.50: men's 800m semi-finals, Thomas Chamney? 12.30: men's 800m final, Thomas Chamney? 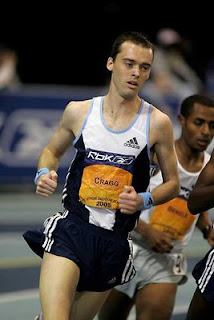 13.10: men's 5000m final, Alistair Cragg? 00.30: men's marathon, Martin Fagan.